Hideo Kitaoka san is a master at his art. 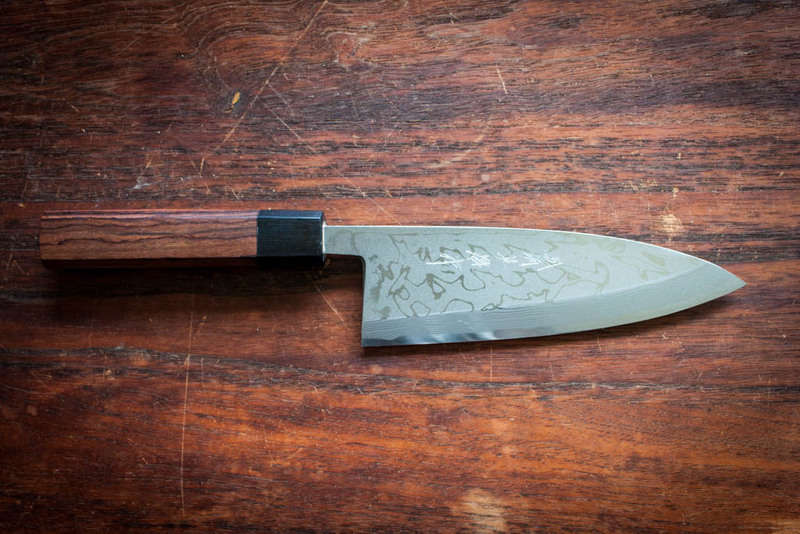 He specialises in single bevel knives and is based in Takafu knife village. 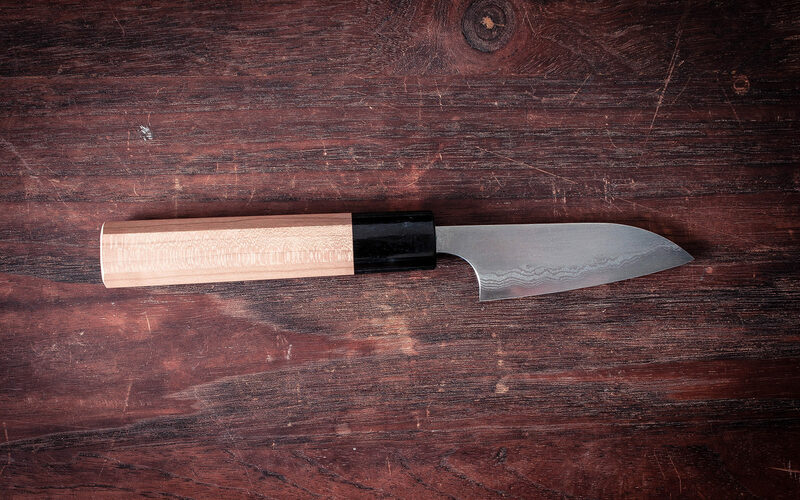 A saya is a wooden sheath to protect knives while in storage. Hideo Kitaoka san is a master at his art. 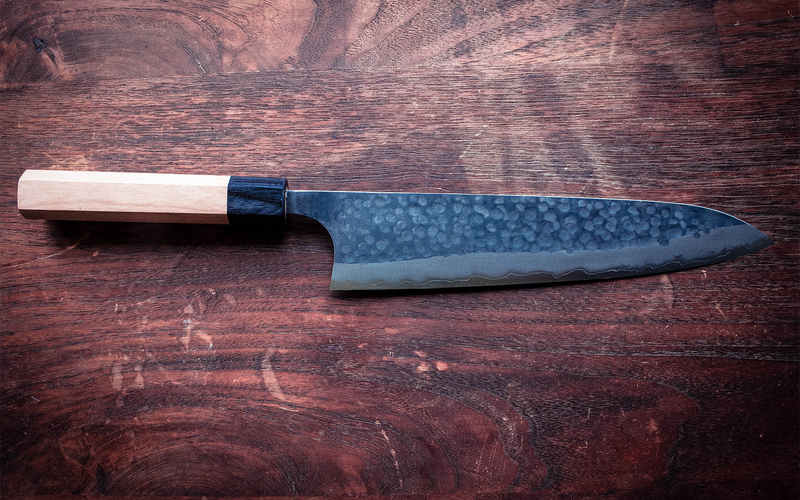 He specialises in single bevel knives and is based in Takafu knife village. 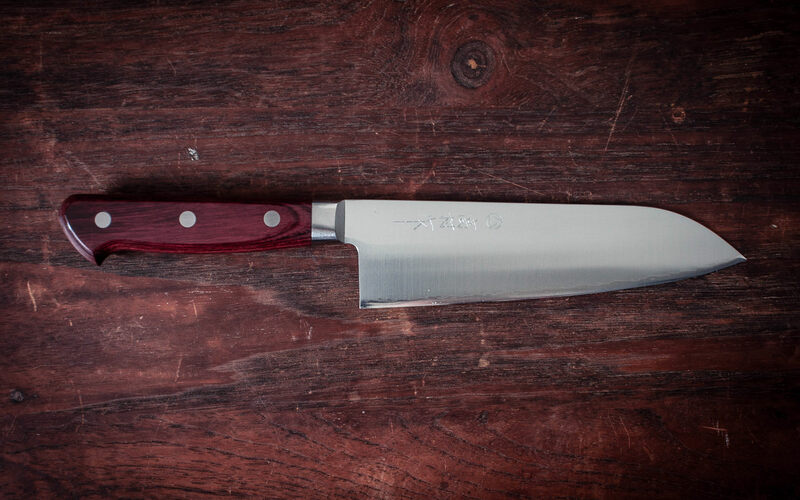 He uses traditional steels and White #1 is an excellent choice for these handmade knives. The blade is ground on the front side and concave on the other. 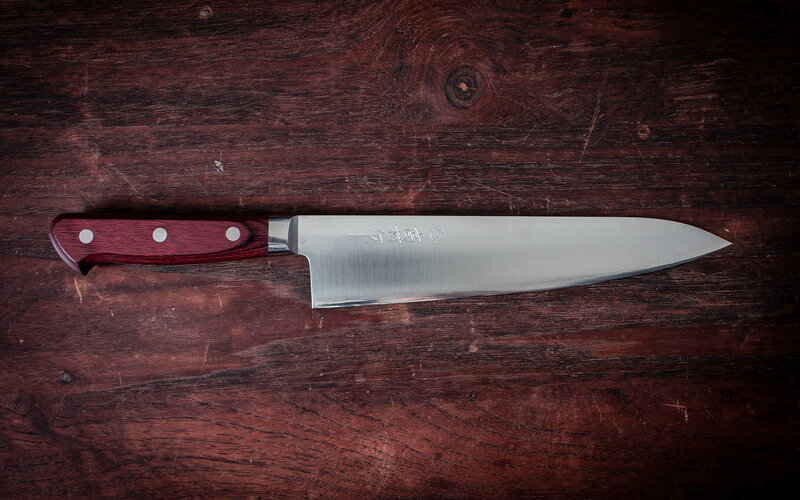 This chisel grind gives it a dramatically steeper angle geometry than dual ground knives and thus makes is sharper. 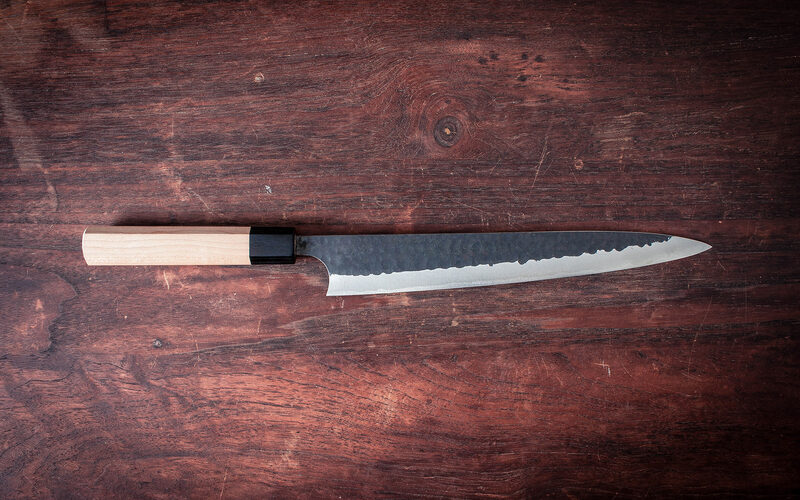 The Deba is a single bevel knife used in Japan to break down a whole fish. It has a thick and hefty blade which can cut the head of fish easily. 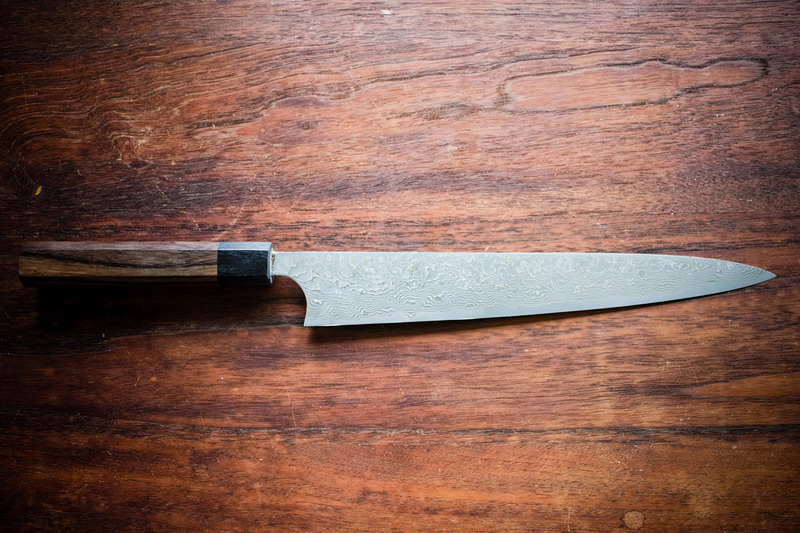 Core steel is White #1 with softer Damascus patern cladding. 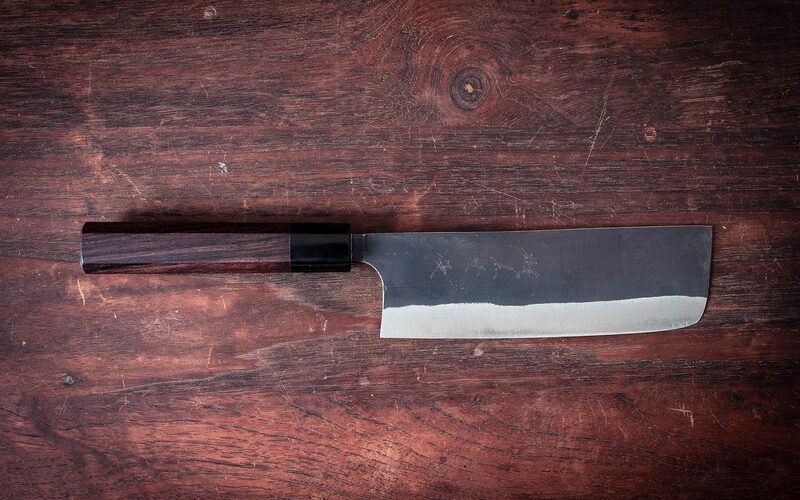 The handle is made from Rosewood with a black pakka ferule.